Numbers plus magnets equals fun! How many tractors are there? How many cowboys? How many puppies? How many tasty gingerbread men? 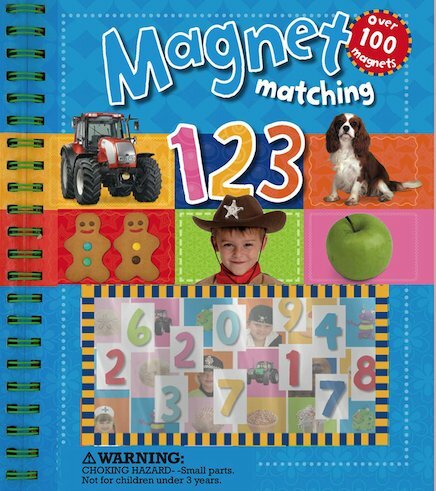 Push out the number magnets and match them to the pictures. One, two, three – let’s count! With more than 25 number and object magnets that can be mixed and matched in several different ways, this lively counting book adds up to countless hours of fun.